As much as I love sweets, I do my best to limit them. Especially for my children, ages 7 1/2 and 10 1/2. I want them to have healthy snacks that taste great and that are also good for them. After all, I want them to enjoy their snacks. Fruit Snacks have always been a favorite in this house from the time my children were very young, we always have them in the house and in our vehicles. As much as we love fresh fruit, it can be difficult to find sweet, tasty fresh fruits during the winter months. It just doesn't taste the same as it does in the summer months. As a mom, I know that there are always other alternatives and healthy options available! 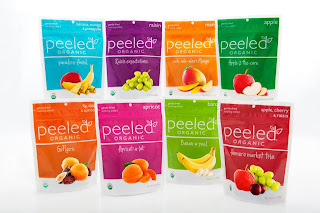 Peeled Snacks are a delicious alternative to fruit snacks and fresh fruit, giving you the best of both worlds! Peeled Snacks are soft, chewy and delicious! The first bag was gone as quickly as it was opened and my kids were both asking for more. I asked my kids which were their favorites and they couldn't decide. They would tell me one flavor and then a couple minutes later change their favorite to a different one! The only thing that really matters though is that my children loved them and kept asking for more! I loved them too, I can see us snacking on them regularly! They are the perfect snack no matter where we are. At home, in the car, at sporting events, school lunches, school snacks... ANYTIME! They are the perfect healthy snack that I can feel good about feeding my children. 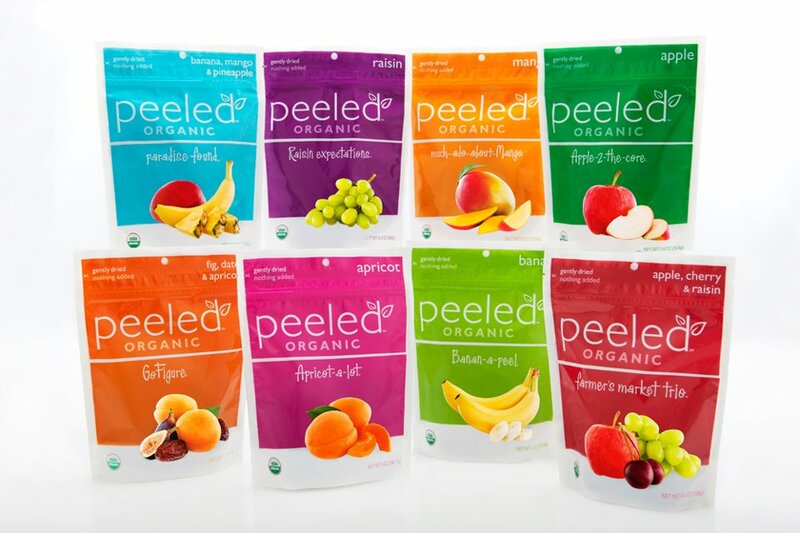 You can purchase Peeled Snacks online or in select retail stores including Starbuck's throughout the US and Canada. To find a retail location near you check out their store locator. Peeled Snacks is offering a NEW sampler exclusively on Amazon.com. Get this snack pack of mango, apple and cherry for only $19.99 while this sale lasts! 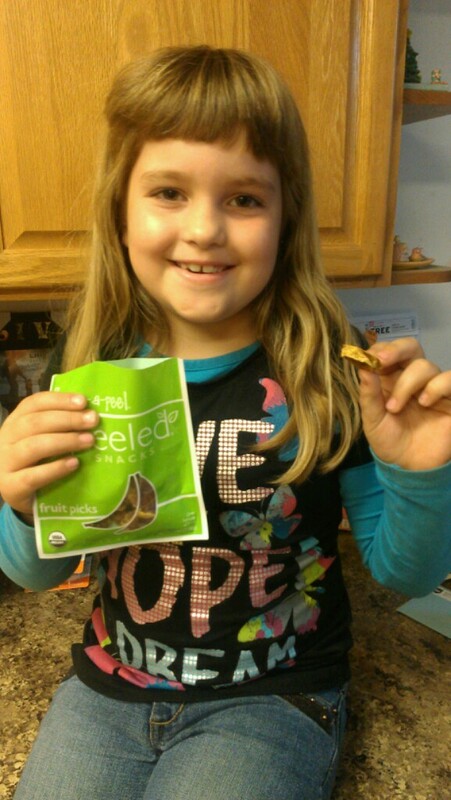 Our goal at Peeled Snacks is simple: to make you feel good about snacking. We strive to bring you the highest quality organic and natural ingredients from sustainable farms. Our snacks provide a great source of vitamins, minerals and a full serving of fruit with no added sugar. 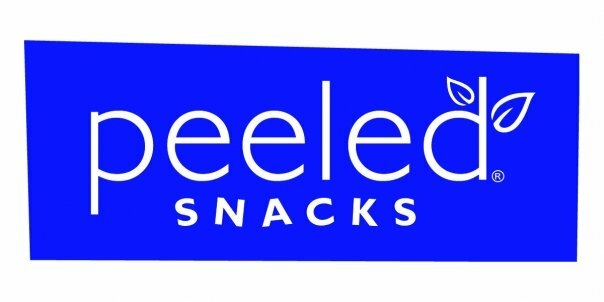 Peeled Snacks is about providing delicious and nutritious snacks that people can feel good about eating. Our snacks are vegan and gluten free. I LOVE apricots, so I'd definitely try those! I'd love to try the cherry go round!